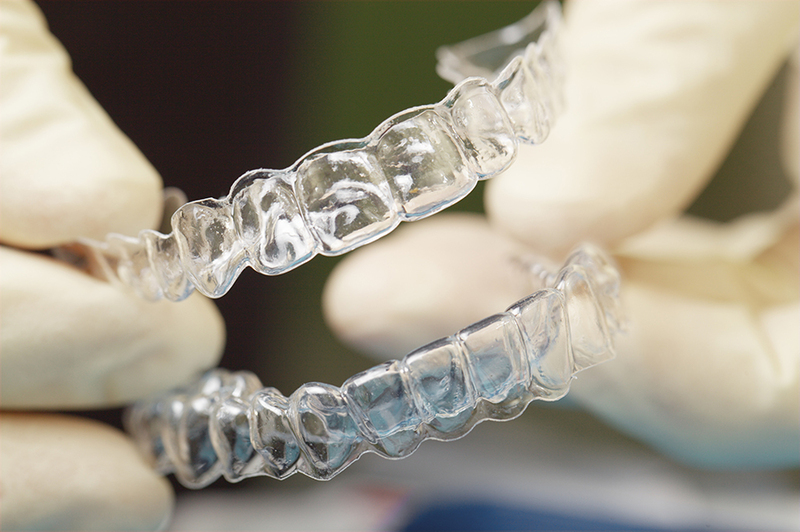 Retainers are used to maintain your beautiful smile after orthodontic treatment. Teeth will shift if retainers are not worn consistently. We provide clear retainers for the upper and lower teeth on the same day braces are removed and recommend that retainers be worn at least 12 hours every day. For some patients, a fixed retainer will be placed on the back of the teeth. Always store your retainer in the retainer case. Never wrap a retainer in a napkin while you eat- it may get accidentally thrown in the trash. Pets love to chew up retainers, so keep them properly stored. Retainers should be cleaned by gently brushing with a soft toothbrush and rinsing under cool water. Soaking retainers in a denture cleaner about once a week will aid in keeping them clean. Call the orthodontist immediately if a retainer is lost.